Two Harbors hides out on the quiet side of Catalina Island, CA. 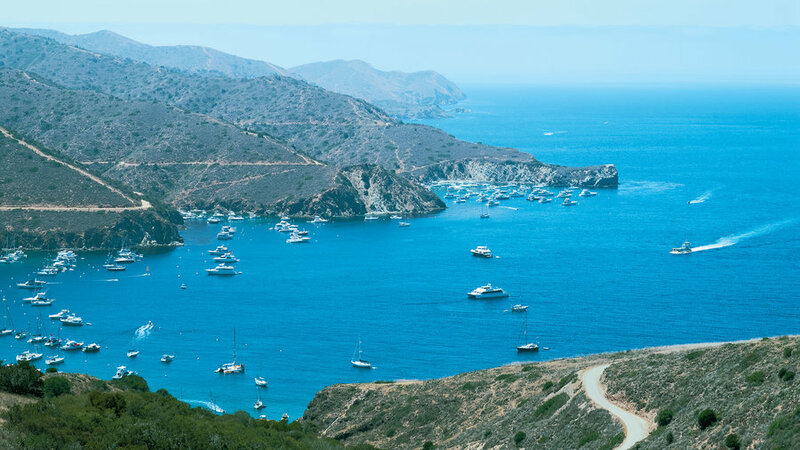 On the far side of Catalina, away from the main town of Avalon, is Two Harbors, a tiny boaters’ haven that feels like an island on the island. This ragged stretch of the Sunshine Coast is so unspoiled and awe-inspiring, it’s sometimes hard to imagine that anyone but a bald eagle or two has been here before you. Check in: Wooden walkways meander through the forest where Rockwater Secret Cove Resort’s 13 roomy, light-filled, adults-only canvas tent suites―with fluffy king-size duvets and tubs for two―perch above the blue water. Each suite has a deck and views to inspire castaway fantasies. From $315 U.S. through Oct 12. Check in Wooden walkways meander through the forest where the resort’s 13 roomy, light-filled, adults-only canvas tent suites ― with fluffy king-size duvets and tubs for two ― perch above the blue water. Each suite has a deck and views to inspire castaway fantasies. From $315 U.S. through Oct 12. Washington State Parks resuscitated this beloved cluster of ’30s-era cabins set between forest and sea last year, and ever since, it’s been a go-to destination for anyone seeking a taste of the simple life. Walk the beach or tootle around Saratoga Passage in a vintage rowboat. After dark, toast marshmallows around a beach bonfire with other adventurers lucky enough to have scored one of the 33 cabins. Finally, hunker down under the covers while Puget Sound sings you to sleep. Atop a bluff and offering nose-bleed views of the major highway for gray whales –– aka the Pacific Ocean –– is this Cape Cod–style seaside estate from 1901, with slatted ceilings, vintage photographs, and piles of firewood near the basement. If Goldilocks were a beach girl, Manzanita would be the town on Oregon’s northern coast she’d find “just right.” Not too swanky, not too tacky. A bakery, wine bar, organic clothing store, and spa are all worthy indulgences, but you’ve got to see the beach first: seven wide-open miles of sand, big boomy waves, and poetry-worthy sunsets. Explore Tear around the packed sand on a “fun cycle,” a recumbent tricycle that appeals to the kid in all of us. Manzanita Bikes & Boards; closed Mon; $8 per hour; 503/368-3337. –J.C. The luxurious new Black Rock Oceanfront Resort is a curving sweep of glass, steel, and wood beside the rain forest and above a surge channel that boasts the best storm-watching in the West. Check in Each room comes decked out with a fireplace, balcony, and flat-screen TV ― not that you’ll need it. What’s really worth watching here is the view out the floor-to-ceiling windows. Feeling restless? Switch it up by taking in the view from one of the spa’s outdoor hot pools. Storm-watching season starts mid-November. From $237 U.S. Explore The Wild Pacific Trail skirts rocky cliffs and meanders through dense old-growth rain forest to reveal dramatic vistas of the moody, tossing surf. –D.L. Paia, Maui’s North Shore surfer outpost, is the refreshing antithesis of the sprawling resorts on the island’s south side. Explore With sand dunes climbing hundreds of feet above miles-long beaches and eucalyptus-lined hiking trails, the Montaña de Oro park (a 25-minute drive away) is a must. Remember those beach vacations you took with your parents back in the day? Sandy motel floors, over-chlorinated pools, and too much junk food? Tiny Avila Beach, smack at the midway point of California’s Central Coast, is that throwback beach town, upgraded for your new, adult standards.